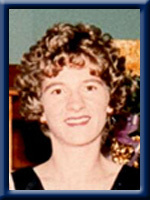 Page, Goldie Marlene, 54, of Liverpool, Queens County, passed away January 30th, 2011, in the Queens General Hospital, Liverpool. Born in Bridgewater, she is a daughter of Cecil and Aldora (Tumblin) Himmelman, of Oak Hill. She is survived by her companion Charles Ashcroft; son James, of Brooks, Alberta; sister Betty Himmelman, of Oak Hill. She was predeceased by her husband Michael Page. Charles we were sorry to hear of Goldie’s passing. Our symapthies to you and the family. our prayers and thoughts go out to Goldies family at this sad time. We are sorry to hear of your loss. Our thoughts and prayers are with you at this sad time. so sorry to hear of goldie’s passing!she was one of the most respectful and politist person i knew when she came in to kfc..she always answered with honey or dear and always very polite to the staff!! !she will be missed at the store!our sympathies go out to charlie and the family at this difficult time!! my thoughts and prayers go out to you Charlie and Jimmy at this sad time in your life. We are so sorry to hear of your loss our thoughts and prayers are with the family during this sad time. so sorry to hear about Goldie Charlie. she was always nice to me when she saw me. my thoughts are with u and Jimmy take care. so sorry for your loss our thoughts and prayers are with you. So sorry for your loss our prayers are with you . We were very sorry to hear of Goldie,s passing. She will be greatly missed by her family and friends. HI Charlie, Jimmy and family. I am so very sorry to hear about Goldies’ passing away. She was a wonderful person. So sorry to hear of Goldie’s passing. I remember when her and Charlie used to come to the Candy Store where I worked as a teenager. She was such a nice lady. Always polite and wanting to know how you’ve been. I don’t think she ever missed a Saturday to come in for a chat. Charlie and Jimmy, we’re sorry to hear the bad news. May God be with you both at this time of loss.